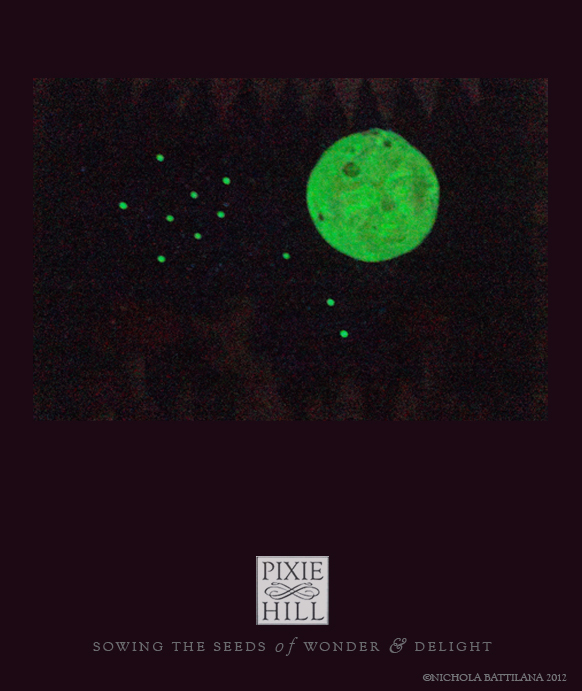 Pixie Hill: Another moon... THAT GLOWS IN THE DARK! Another moon... THAT GLOWS IN THE DARK! Let me say that this shrine has been the biggest pain in the bum in the whole wide world. BUT IT GLOWS IN THE DARK! I love it, I am so in love with your glittery backgrounds! The mice are so cute I can hardly stand it!! There is NOTHING better than glow in the dark. Awww - the mice are perfect in there - they knew! And relieved to hear they escaped the vacuum incident. It was certainly worth every bit of adventure that went into its making! 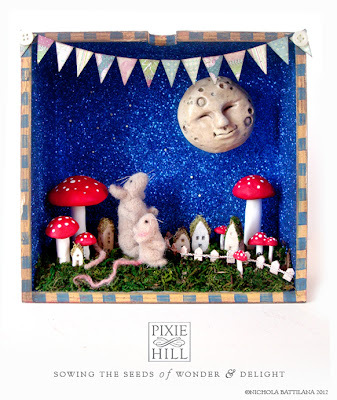 The mice and the wee glowing fireflies are nearly too much cute for one tiny space. I love it Knicker! The fact that it glows makes it even more awesome! ingsoIt's stunning and fun and full of whimsy and I love the glowing bits. And, ooh, the banner-I love when there are banners.